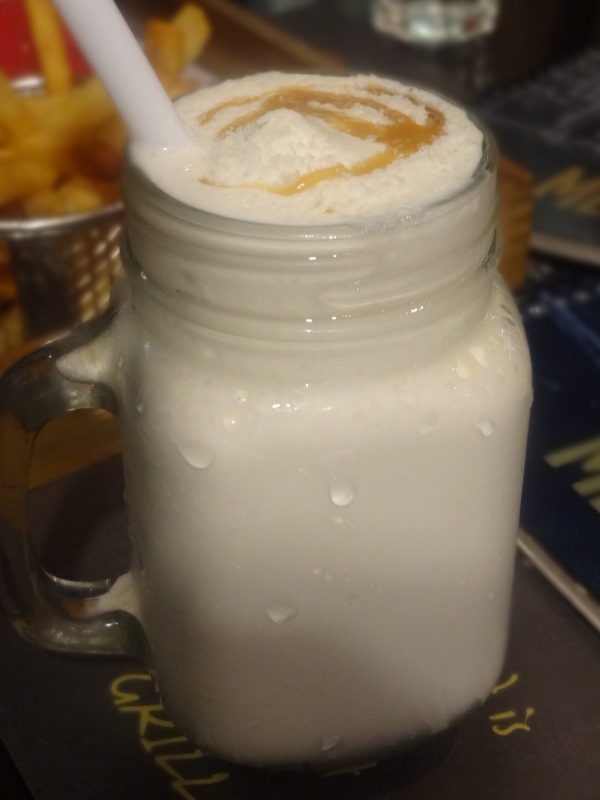 With this onset of the winter season and my desire to taste the lovely milkshakes, I went to Barcelos, Khan Market recently to try their newly launched shakes. 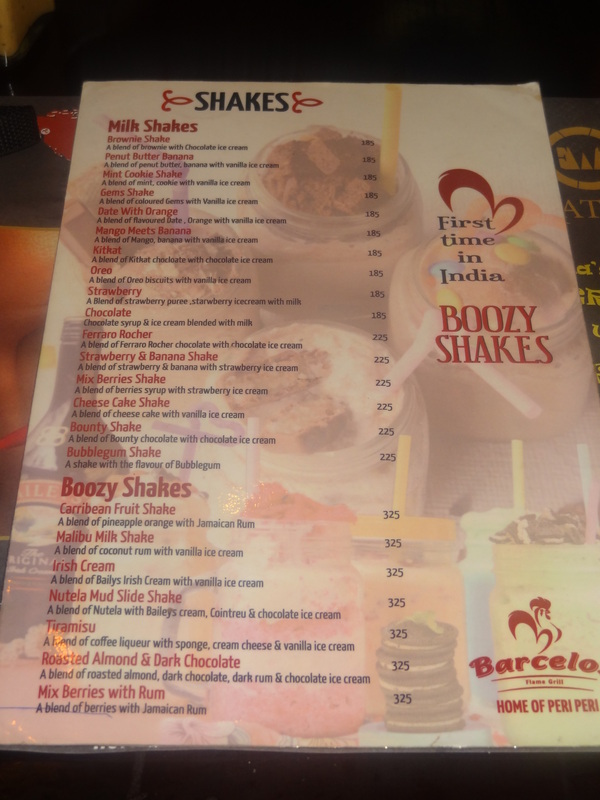 To begin with, the first thing that struck me was the different varieties and blends of shakes they had on their menu. They even have some boozy shakes (yes alcoholic ones) on the menu. 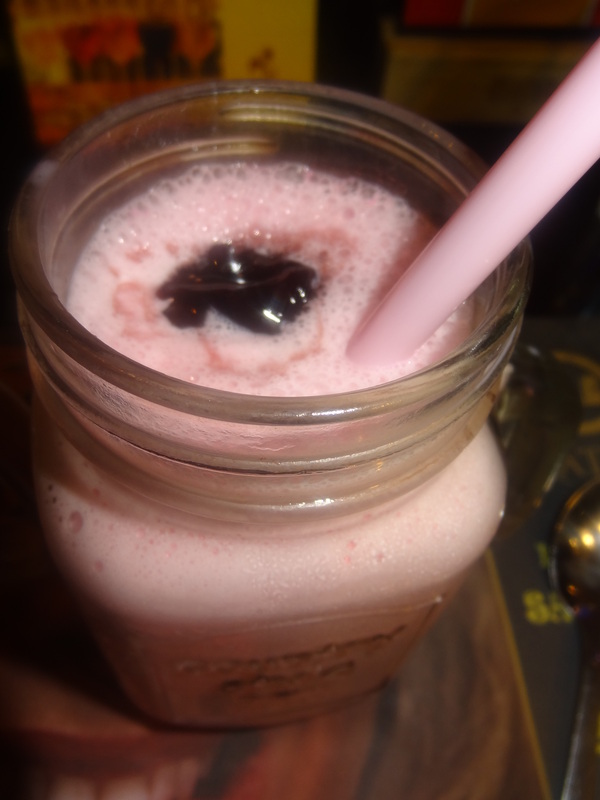 The first was the Mix Berries shake which was a blend of different berries along with strawberry syrup & ice-cream. I found it sweet, milky & thick with a mixed taste of the blended berries. 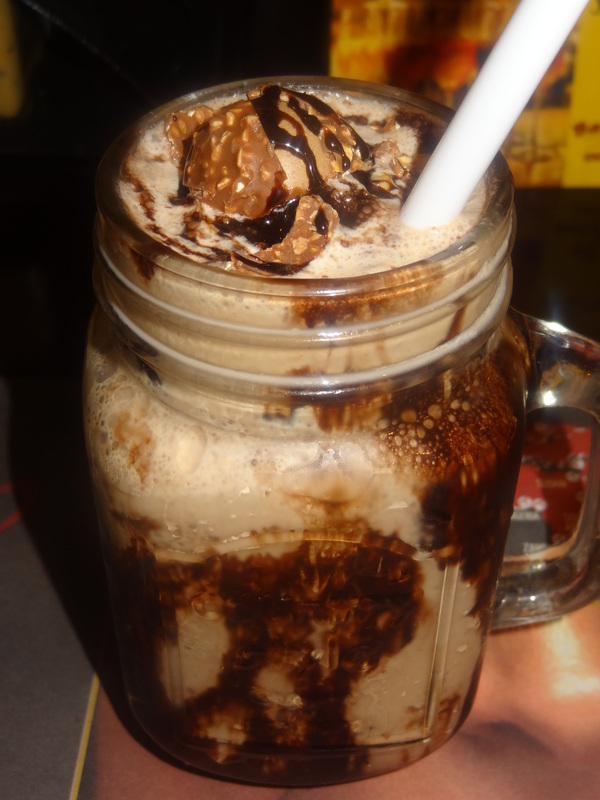 I couldn’t resist the heavenly taste and my stomach wanted a blessing of the chocolate filling & sin so I went for Ferrero Rocher milkshake made of hazelnut syrup, Ferrero Rocher & chocolate ice-cream. This was my favourite amongst all. 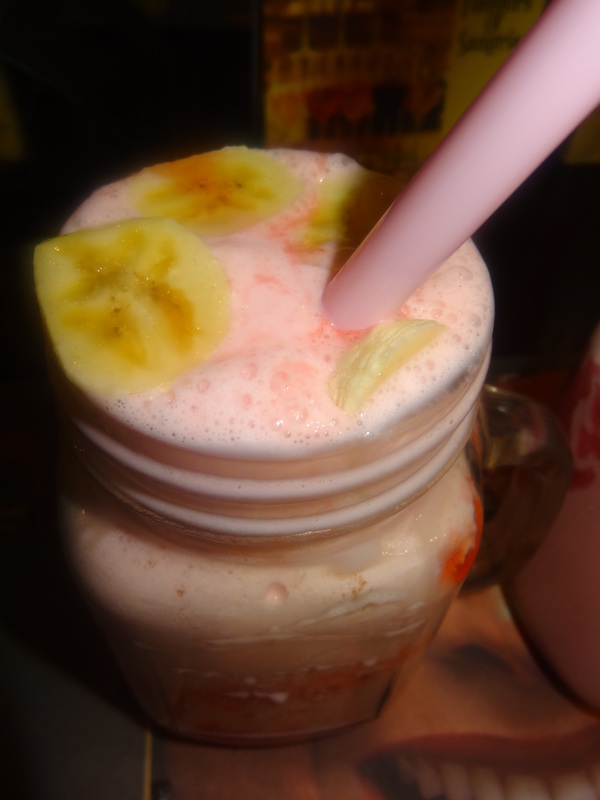 Next I tried the Strawberry & Banana shake which I found to be equally good, wholesome & nourishing with lots of real banana pieces in the milk. The fruits blended in the heavenly strawberry ice cream which was velvety & smooth. 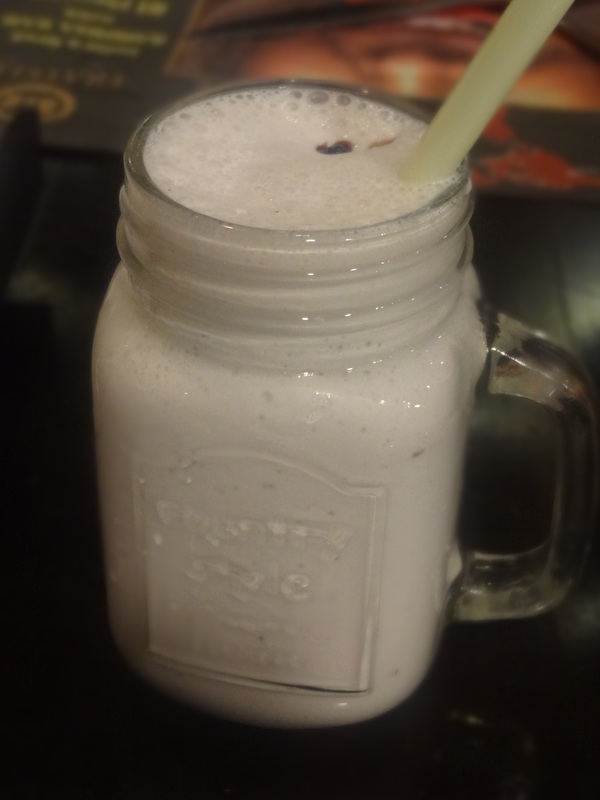 In the boozy shakes, I only tried the Malibu milkshake which was a blend of coconut rum with Vanilla ice-cream. It was different & I found it difficult to believe that milk & booze could go along. 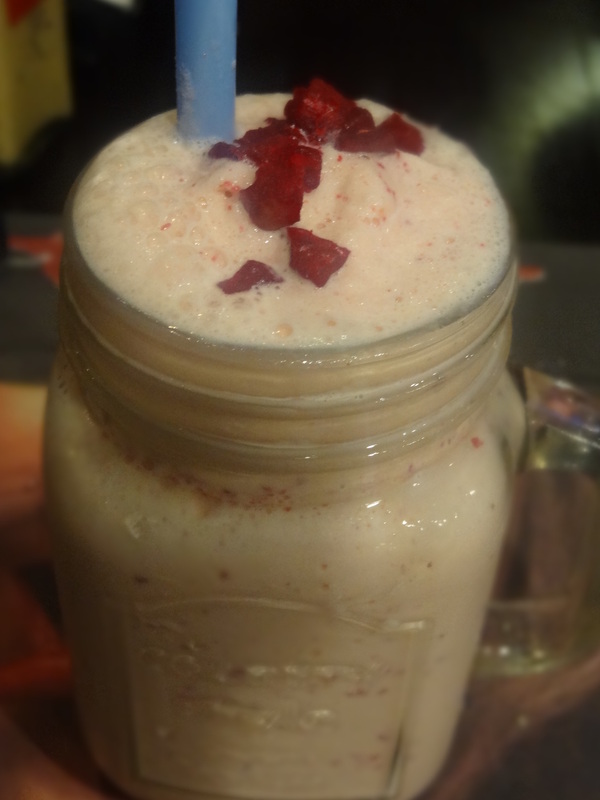 The Cheesecake Shake was a vanillan delight, light and blended with cheese cake & lots of vanilla ice-cream. It was nice & refreshing. Lastly, there was the Date with Orange milkshake which was a blend of flavoured date & orange with Vanilla ice-cream. It was honestly too strong for my tastebuds so I would give this a miss. Be it the Merry Strawberry or the Nutty Chocolatey or the Boozy Retreat there is something for everyone. It’s all here- all the unique flavours you can think of. So all of you who love to stay healthy and love the daily dose of this calcium supplement should try the various blends & varieties of milk shakes available here & satisfy all their cravings for a dose of healthy surprise for their tummies and go back home loving the wholesome & awesome taste of the new thick shakes that Barcelos has come out with. So what’s the wait just hit the station!! !